It is October but also time to break out your Crock Pots for some great recipes! Help me celebrate #Crocktober with a Chicken Bacon Ranch Crock Pot Dip for tailgating! 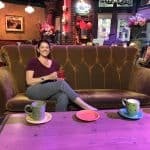 I can’t believe that it is October already and my Blogiversary! Take Two Tapas is officially 4 years old. 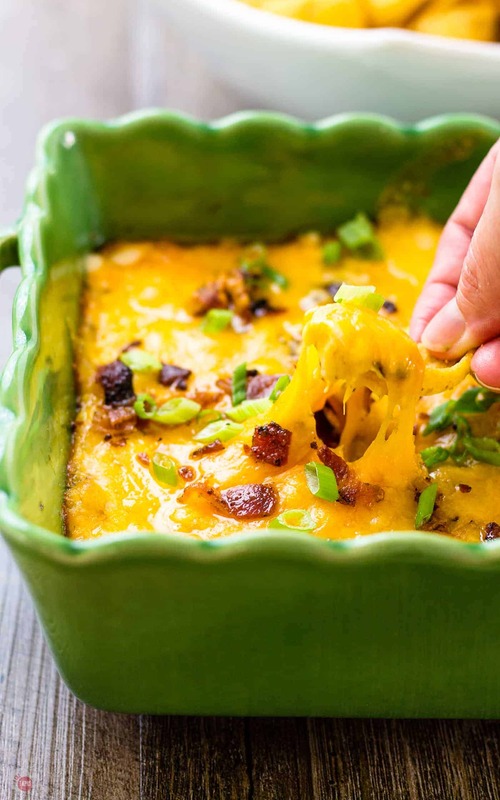 What better way to celebrate this occasion with a super spectacular crockpot dip? How about a Chicken Bacon Ranch Dip that you can make it the crockpot? October means cooler weather and tailgating which for me requires a little batch cooking and making multiple recipes at one time. The only way to keep your oven from freaking out and keeping the kitchen slightly less cluttered is to prepare foods in my slow cooker. 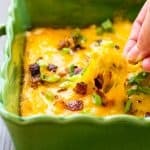 If you are looking for more cheesy dips, check out my Loaded Potato Skin and Chile Relleno Dips! Chicken Bacon Ranch Crockpot Recipes including a DIP! I hear plenty of people mixing chicken with bacon and a touch of Ranch to make sandwiches, cheese balls, and all sorts of other dishes like a meal skillet. Why not a dip? The crock pot does all the hard work so all you need to do is throw in your ingredients. I use chicken sausage for this recipe because it is already cooked through. Raw or under-cooked chicken scares me so even though we are cooking it I am sure it is done. The other benefit is that the chicken sausage comes flavored too. I was lucky enough to find a Chipotle and Monterey jack cheese flavored one. Even more flavor bonus. While the chicken sausage, cream cheese, Ranch, and additional cheese is cooking I cook up my bacon. I originally wanted to add it into the dip while it cooks in the crockpot but I am not a fan of soggy bacon. The best thing is to crisp it separately and then add it to the top of the cheese layer. This keeps is crispy and tasty! 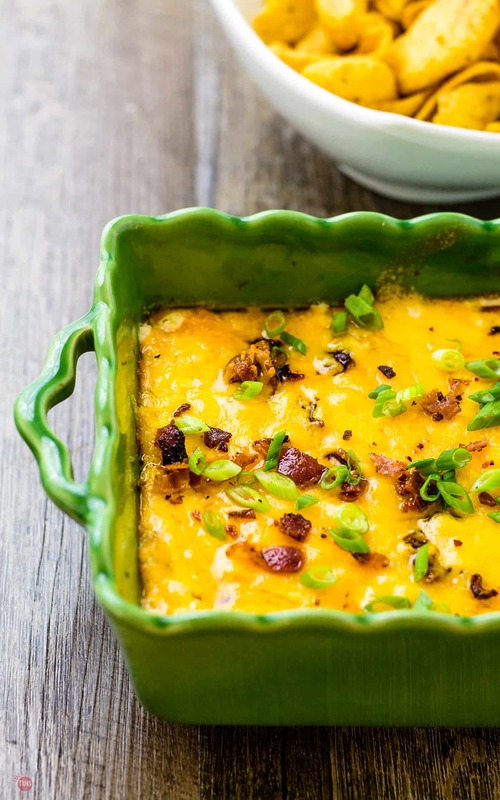 Not just another Chicken Dip Recipe! 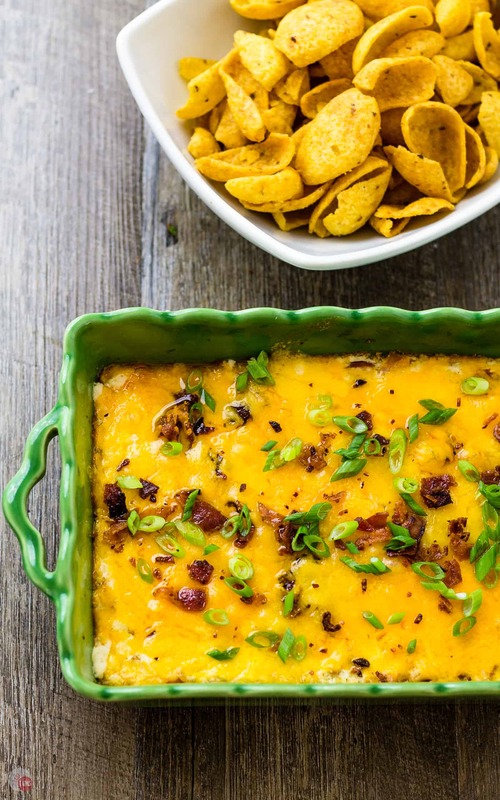 The pictures show this chicken bacon ranch dip in a baking dish. I prepared it in a crock pot minus the cheese blanket and then chilled it down. When I was ready to serve it I added the cheese to the top, popped it in the oven for 15 minutes, and then added the bacon. I was using my crockpot for another upcoming recipe at the time so I used the oven. This way if you have only one crock pot and two recipes to make, improvise! My Chicken Bacon Ranch Dip works great for a crock pot or a baking dish but it works perfectly for your tailgating party! It is October but also time to break out your Crock Pots for some great recipes! 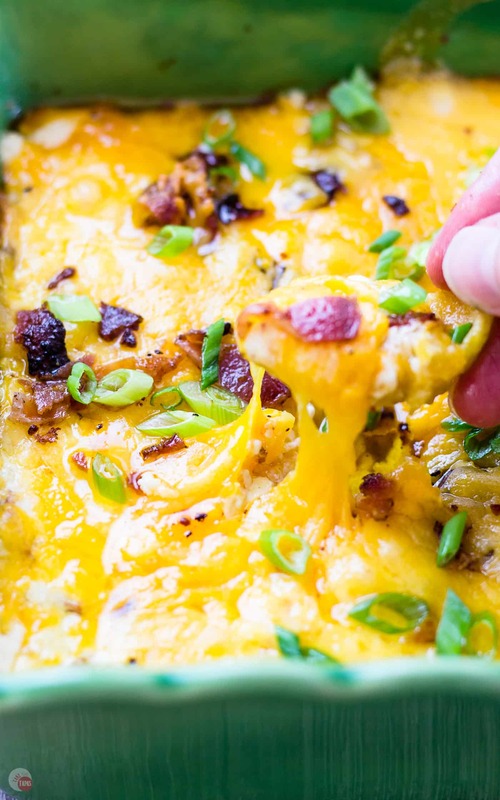 Help me celebrate #Crocktober with a Bacon Chicken Ranch Crock Pot Dip for tailgating! Combine the cream cheese, ranch dressing, sour cream, chicken sausage, and Monterey Jack cheese in a crock pot or slow cooker. Cook on low for 90 minutes. Add the cheddar cheese to the top. Cover and cook for another 30 minutes on low. Remove the slow cooker insert from the base. If you want to keep the dip warm, leave the slow cooker insert in the base and move the temperature to warm. I hope it works and gets you out of the dog house! This looks absolutely amazing! It has all of my favorite ingredients and it’s make in the crockpot?! YUS! can’t wait to make this for the next game day! This looks so scrumptious! I’m with you on the soggy bacon.